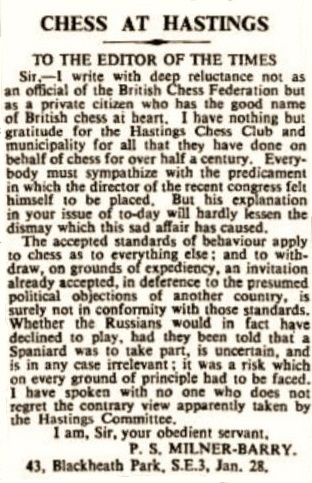 So wrote Wolfgang Heidenfeld to B.H. 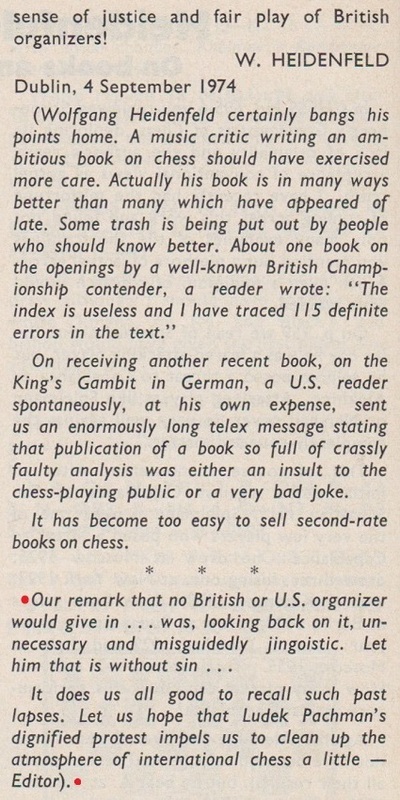 Wood on page 370 of CHESS, September 1974. 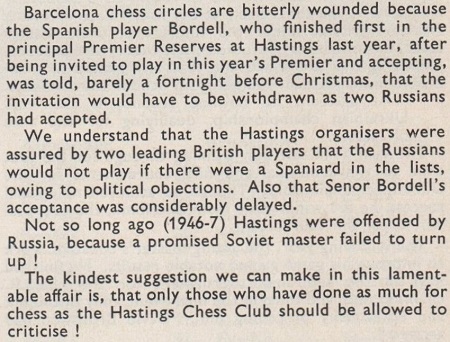 Román Bordell Rosell (1928-2008) won the major section of the Hastings, 1952-53 Premier Reserves tournament 1½ points ahead of Hans Berliner (BCM, February 1953, pages 36-37). 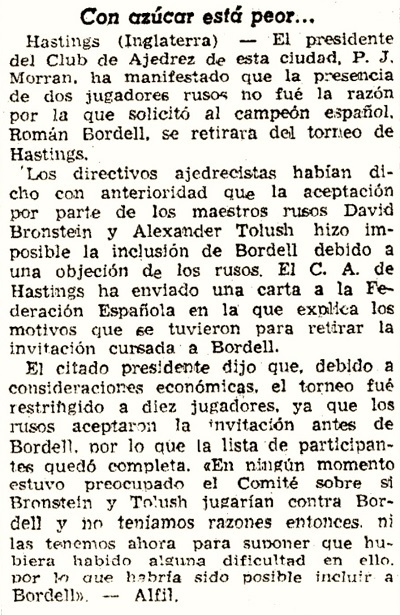 At that time he was the subcampeón of Spain, having finished second to Antonio Medina García in the Spanish championship in Oviedo and Gijón in August-September 1952. 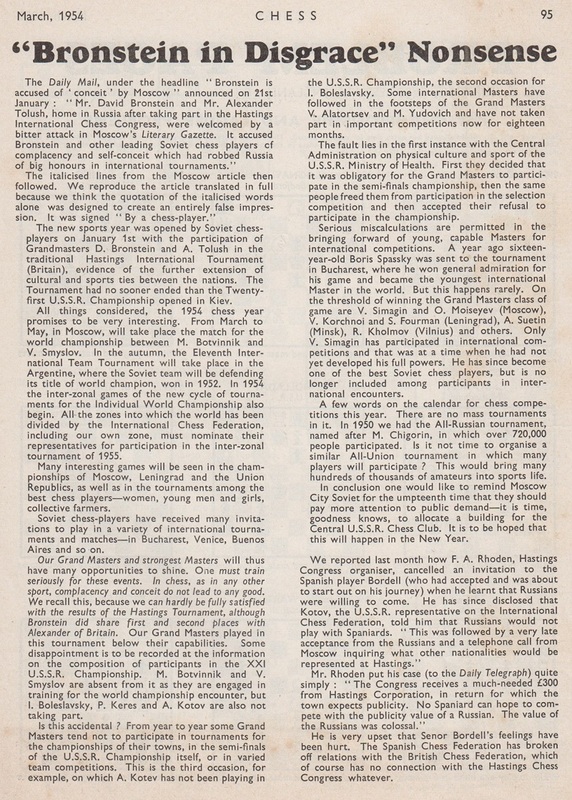 See pages 243-248 of Campeones y campeonatos de España de ajedrez by Pablo Morán (Madrid, 1974). 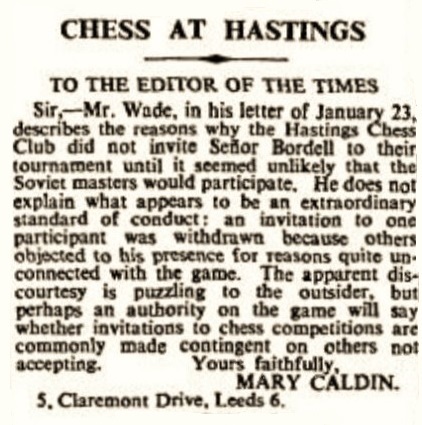 Hastings, 1953-54 was won jointly by C.H.O’D. 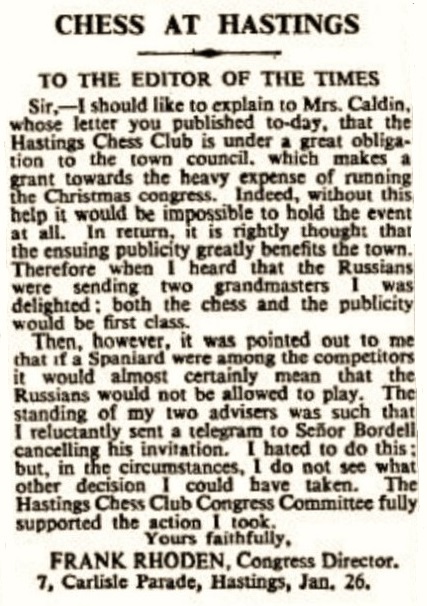 Alexander and D. Bronstein. 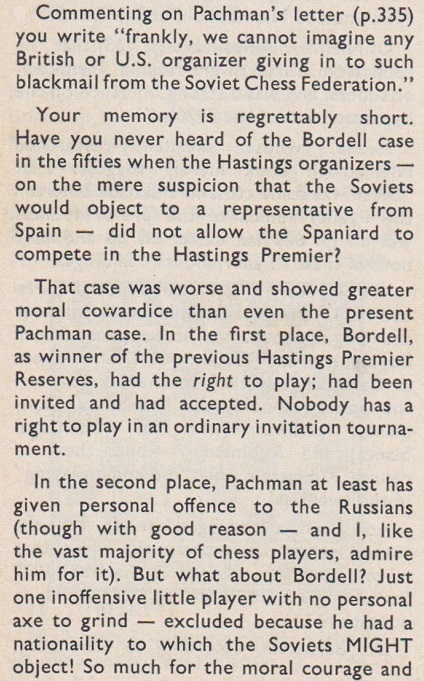 The other Soviet participant, A. Tolush, finished equal fourth with three other players. 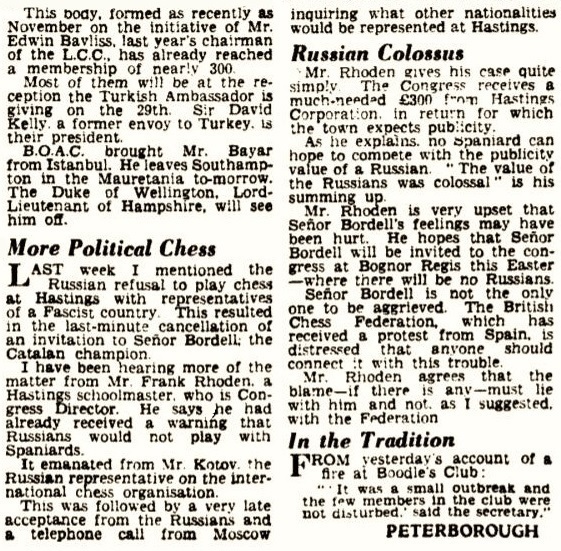 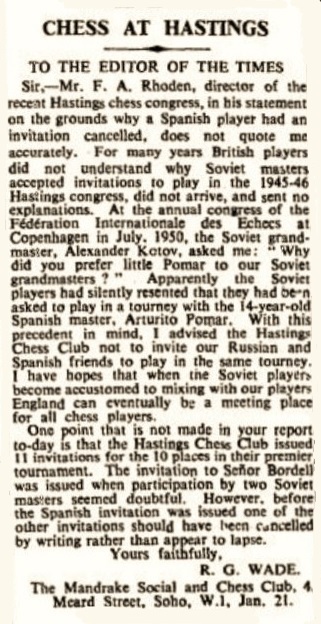 CHESS, March 1954, page 95 had an article on the purported repercussions of the Hastings tournament in the Soviet Union, as well as, towards the end, more about Rhoden. 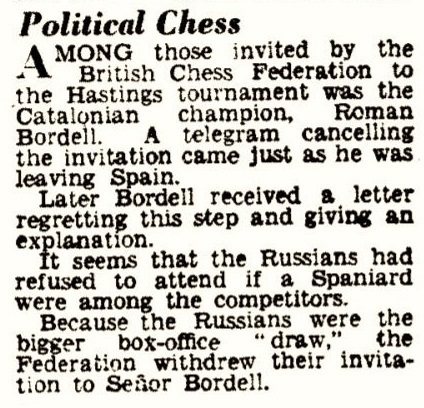 Further information from readers will be appreciated, and particularly concerning the reaction of the Spanish press to the Bordell case. 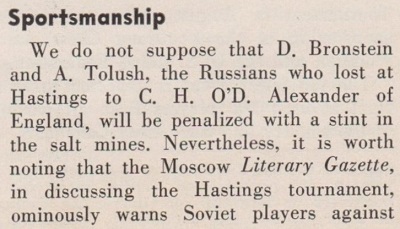 We should also like to show any relevant material about the Hastings, 1953-54 tournament published in the Soviet Union. 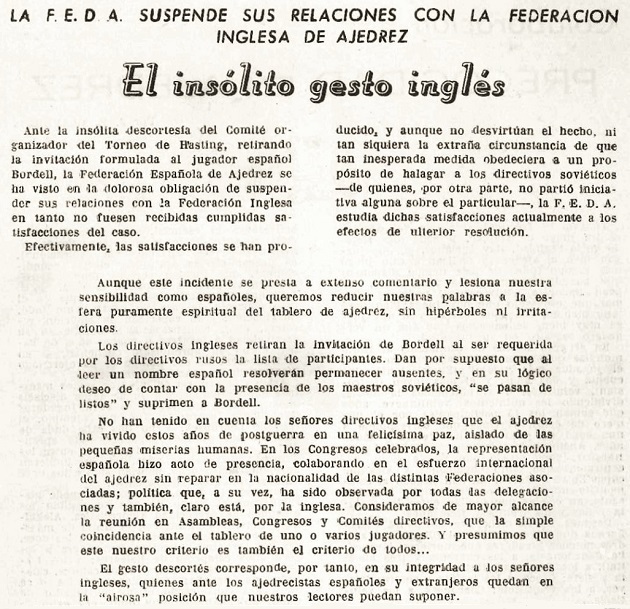 La Vanguardia, 9 February 1954, page 21. 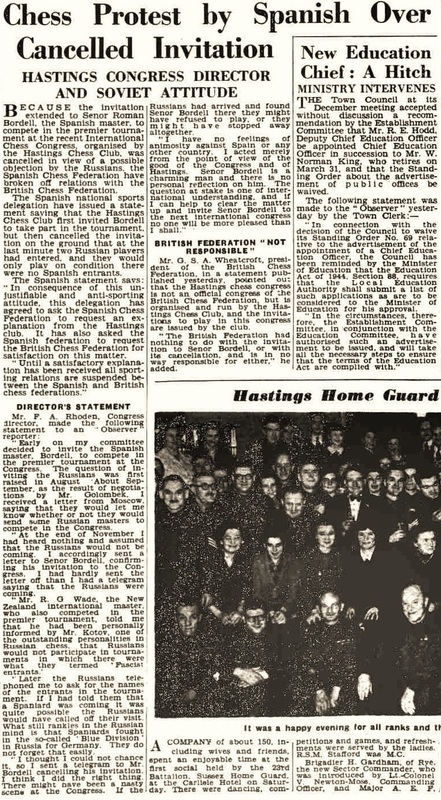 Latest update: 10 October 2018.